Shoko Asahara, executed Friday for his role in the deadly 1995 sarin attack on Tokyo’s subway, used a mixture of charisma and mysticism to lure followers to his Aum Shinrikyo doomsday cult. The “guru” with his wild hair and unkempt beard, once led up to 10,000 followers, including some who in 1995 targeted the Tokyo subway in a shocking chemical attack that killed 13 people and injured thousands more. The attack brought international infamy to the Aum group, which attracted a range of devotees, including the doctors and engineers who produced chemical agents for the group’s crimes. “Asahara was talented at brainwashing,” said Kimiaki Nishida, a professor of social psychology at Rissho University in Tokyo. He “lured young people, who felt a sense of emptiness in Japanese society,” Nishida told AFP. 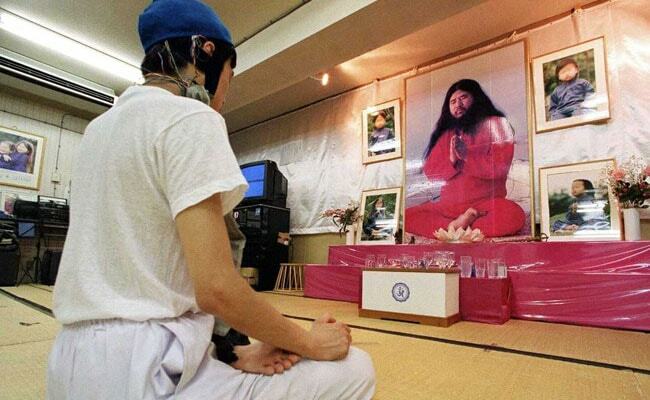 Asahara told followers that he would help them acquire “the power of God with the right kind of training” and they would “create a new world” after Armageddon, which he predicted would occur in 1997. “For him, violence was like a hobby. Once he got angry, there was no way to stop it,” a former classmate once said. His poor eyesight meant he was unable to pursue his first choice of medical school, and he failed to gain admission to study law at the University of Tokyo — a traditional route into the nation’s elite class.